This brown raw silk/hemp blend scarf is extremely soft and effortless to wear. 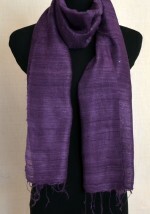 The material drapes beautifully whether you wear it wrapped as a neck scarf or open as a shawl. 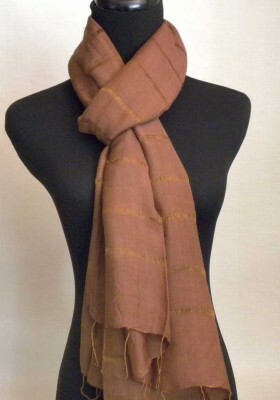 The brown color is classic and will add the right finishing touch to your outfit. 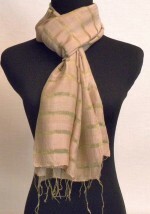 The look of the scarf is casual enough for everyday wear yet elegant enough to dress up an outfit.